Looking for a great discount on the RJ? This is the best deal available on the Las Vegas Review Journal newspaper. After getting a 7 day subscription, you can add additional Sunday Only subscriptions for $3.99 every 4 weeks. The additional Sunday subscriptions are perfect for couponers wanting extra inserts for coupon shopping. Want Newspaper Discounts in other areas, we have them too — Discount Newspapers. First, snag some crazy discount Sunday Newspapers delivered right to your door (get up to 5 for the coupons!) Curious about what coupons are coming this Sunday? See the Sunday Newspaper Coupon Preview List. Check these places too: Be sure to slowly go through your ads in the Sunday newspaper, because there is often a random coupon page. 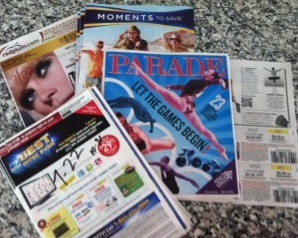 Check the Parade and US Weekend inserts for coupons. This time of year there will be toy books from retailer that will have Toy Coupons! CHECK OUT This Weeks Insert Coupons. Some weeks may not have inserts scheduled. See the 2014 insert schedule (or call your local paper) to double check. Print the Sunday Coupon Preview pages and make any local updates. Attach the Sunday Coupon List to your inserts, when you use a coupon, cross it off the sheet! Buying newspapers for extra Sunday Coupons can add up when not using the discount home-delivery options. 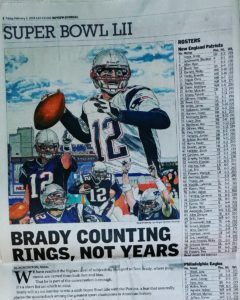 Check out the ROCK BOTTOM Discounted Newspaper Options for the best pricing and also ordering additional Sunday Only Newspapers. 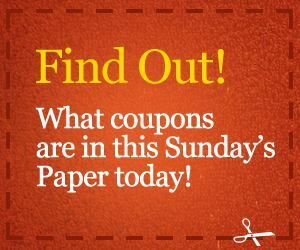 Supplement your SUNDAY NEWSPAPER Coupons with printable coupons from Smart Source, Redplum and Coupons.com! There are literally hundreds of coupons available. Looking for a discount price on the RJ? This is the best deal available on the Las Vegas Review Journal newspaper. To get those inserts in Vegas, just order your home delivered LVJR newspapers at this HUGE DISCOUNT. So if you are into Las Vegas Couponing you know the secret to saving is getting multiple Sunday coupon inserts! Click and get the LVJR Newspaper Discount — The form shows 5 LVJR discounted papers option, but you can get UP TO EIGHT (8) Sunday LVJR’s, just enter a note in the comments section on the form. we have them too — Discount Newspapers. Sunday Newspaper Coupons Preveiw — What’s coming? First, snag some crazy discount Sunday Newspapers delivered right to your door (get up to 5 for the coupons!) And this Sunday watch for Smart Source and Red Plum inserts. Want to see the list of all the coupons coming this week? See the Sunday Newspaper Coupon Preview List. Check Out This Weeks Insert Coupons. Some weeks may not have inserts, be sure to see the 2013 insert schedule or call your local paper to double check. How to use this list:: Print the Sunday Coupon Preview pages and make any local updates. Attach the Sunday Coupon List to your inserts, when you use a coupon, cross it off the sheet! Buying newspapers to get the extra Sunday Coupon Inserts can sure add up — so check out the ROCK BOTTOM Discounted Newspaper Options for the best pricing and also ordering additional Sunday Only Newspapers — Some are under $0.40 each. Watch for Smart Source and Red Plum inserts and once a month will be a Proctor and Gamble Insert (some received theirs last week, yours may be here this week). Want to see the list of all the coupons coming this week? See the Sunday Newspaper Coupon Preview List.